The St. George Art Festival is known for consistently outstanding artwork, and treating artists as special guests. Additional features include live entertainment, a children's area, and all kinds of food booths. for booths and and includes a carousel, fountains and water features, flower gardens, and historic buildings. outstanding artwork, and treating artists as special guests. 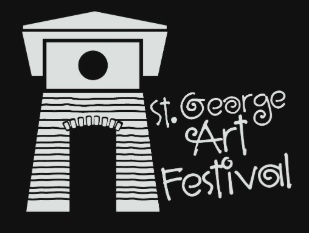 In 2009, the Art Festival was moved onto the St. George Town Square from on Main Street itself.